I think most writers have hazy, unformed ideas kicking around in the shadowy recess of their brains. And it’s almost impossible to tell when they might pop out. Or if they ever will. When I was an advertising copywriter in San Francisco years ago I was always working on print campaigns that demanded catchy headlines. 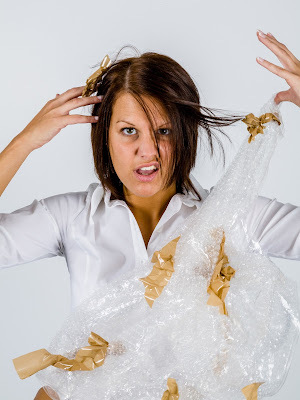 Often, I’d be wracking my poor brain for weeks without success. Then, as I stood under a hot shower head with the water pounding the back of my neck, out popped the winning headline! I also kept a notepad and pen handy beside my bed, just in case my subconscious came up with a brilliant idea while I was catching some zzzz’s. But there are other more complex ideas that need a long gestation period before they’re ready to make an appearance in the outside world. 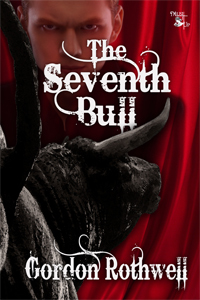 Take my bullfight story, The Seventh Bull, for example. It took over 70 years before it saw the light of day. I guess it all began way back in 1940 when I was just a boy sitting in a darkened Seattle movie house watching wide-eyed as Tyrone Power, in a glittering suit of lights, faced an angry thousand-pound bull in Blood and Sand. I was captivated by the pageantry, colorful costuming and spectacle of the sport. Through the ensuing years, I became a huge fan of the bullfight. I read everything I could find, especially the writings of Ernest Hemingway. I collected cardboard boxes and filled them to the brim with magazine tear sheets and hardback books and paperbacks on bullfighting. Eventually, as a young adult I saw my first corrida in person in Barcelona, Spain. That was quite a thrill. But the event that stuck in my mind was another bullfight I attended in the 1960’s in Tijuana, Mexico. I went south of the border from Los Angeles with a group of friends. We wanted to see Antonio Ordoñez, the Number One Matador in the world at that time, in his first appearance outside of Spain. Ordoñez had been featured in a three-part article by Ernest Hemingway in LIFE magazine. Papa’s write up told of an historic mano-a-mano duel between Ordoñez and Luis Dominguin, a darling of the world press and Ava Gardner’s beau. That entire experience in Tijuana was absolutely surreal. Especially the wild partying at a famous motel after the bullfight. While a strolling mariachi band trumpeted out hot songs equally hot young senoritas clad in tight leather outfits and flat-brimmed sombreros clapped their hands and wriggled their behinds to the delight of a large gathering of Hollywood stars and starlets. Much of what I saw and heard that weekend crept into a corner of my brain and began to percolate. A half-century later my Seventh Bull tale showed its face to the world when purchased by MuseItUp Publishing a few months ago. My bullfight story had been growing inside my brain for over 50 years. If a story is worth developing, you have to dig deep. And find it. Yank it out by the horns if you have to. You’re not a Spanish rancher raising high-spirited Miura and Vistahermosa bulls for the arena. You are a breeder of ideas. And if you nurture yours, one day it will come charging out of the chute, past the Gate of Frights, and into the literary arena to give a memorable performance that will have fans cheering: “Ole΄! Ole΄!” and critics raving. Come on. Grab those horns! And watch what happens! Gordon Rothwell was born in Seattle and got a BA in Journalism from the University of Washington. As an advertising copywriter—one of the original Mad Men— he wrote material for over 100 major firms in California, including PR for the Apollo lunar space program. He received numerous awards including a CLIO (the Oscar of advertising). He’s also a sportswriter and screenwriter, and many of his screenplays have won and been finalists in the Motion Picture Academy's Nicholl, Acclaim, Chesterfield, Hollywood Symposium, and FADE IN competitions. He’s published articles and stories in numerous men's magazines as well as youth-oriented publications like BOY’S LIFE. He enjoys the fanciful and macabre on screen and in books. Gordon now lives in the shadow of Mt. 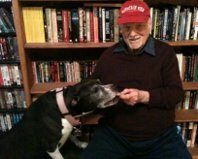 Shasta, surrounded by a loving family and one sweet pit bull named “Dreamer.” Mr. Rothwell’s blog address is http://olddognewtricksblog.wordpress.com And, he can be contacted as “Gordon_Rothwell” on Twitter, LinkedIn and Facebook. Gordon, what a fascinating article and congratulations on crafting such a great story in The Seventh Bull. It is fun watching how others develop their stories and it is inspiring to me. Back to the key board after reading this article. Wonderful story, Gordon, and a valuable lesson that it's never too late - some stories need a long gestation!